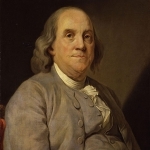 Benjamin Franklin was a Founding Father, member of the Continental Congress, signer of the Declaration of Independence and signer of the United States Constitution. Arguably, the most accomplished individual in American history, he was also a successful printer, publisher, scientist, inventor, diplomat, civic leader, statesman, and philosopher. John Jay was a Founding Father and the First Chief Justice of the Supreme Court. Jay represented New York in the Continental Congress and was an author of the Federalist Papers. 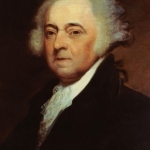 He wrote the Constitution of New York and served as Governor from 1795-1801.